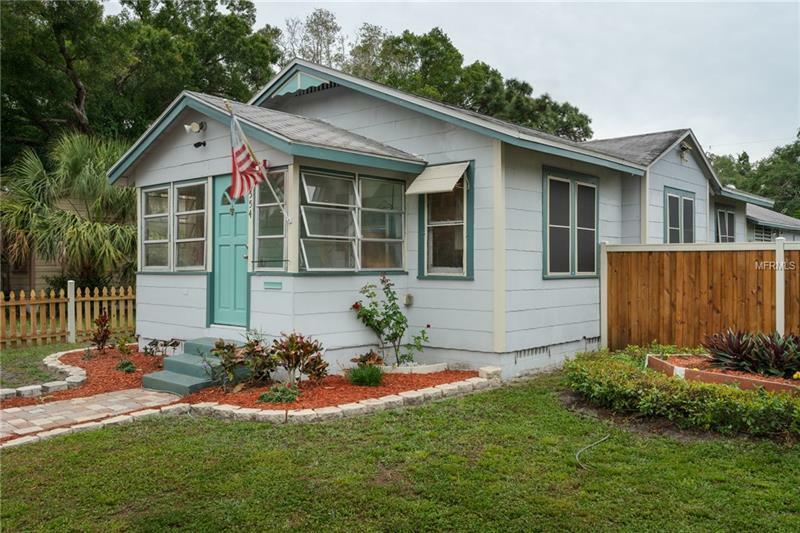 This charming corner lot property is a great starter home. There are 3 bedrooms, 1 bathroom and a huge two car garage. The house has a large newly poured driveway with alley access and a beautiful privacy fence that is great for young children or pets. The home has wooden floors, rounded arch ways and a patio for entertaining. NO FLOOD INSURANCE! Located in the up and coming Central Oak Park which offers so much character with hexagonal sidewalks and brick lined streets. This house is close to Central Avenue and the Grand Central District, only 15 minutes to the beach, and close to a plethora of shopping and restaurants. Don't miss your chance to own this little gem.